Rich in natural resources and local specialties, Chongqing is a good place to do some shopping. Because the city is surrounded by mountains, there are many rare Chinese traditional herbal medicines available. Keep your eyes peeled for Chinese goldthread (huanglian), Gastrodia elata (tianma), and eucommia bark (duchong). The fertile land here is also ideal for fruit trees. Huangsha pomelo may be the most famous with its unusually succulent, sweet, and rich honey fragrance. The area also has a long history as a major tea-production zone. Chongqing Tuo Tea, Cuiping Silver Needle Tea and Xinong Maojian Tea are all popular both in China and internationally. Folk handicrafts are highly regarded as well. 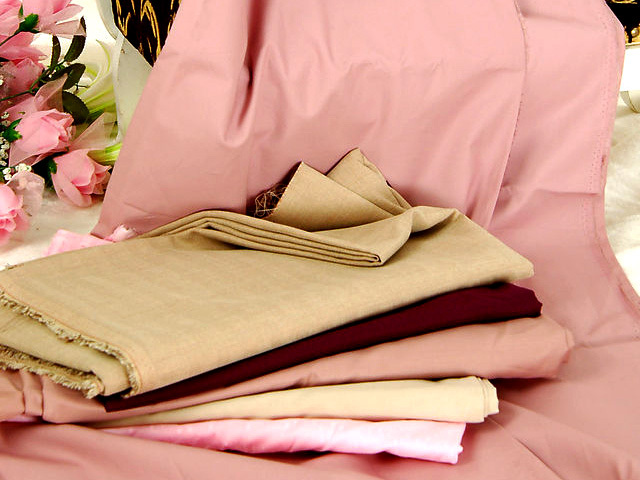 Since the Southern Song Dynasty, Shu Embroidery has been ranked among the four most famous styles of embroidery in China. Rongchang paper fans have also been exported since the Qing dynasty. For those wanting to purchase some interesting foods to take back to your friends a number of tasty specialties are good choices including: Old Sichuan translucent beef slices, Peiling mustard tuber, and Hechuan preserved pear slices. As China continues to develop rapidly, peasants in rural Chongqing have enjoyed a rising quality of life and increasing income. Additional leisure time has led many villagers to seek out hobbies. Now, the art of print painting is widely practiced among the townspeople as both a marketable skill and a means of relaxation. And there is no lack of artistic genius here: over a period of ten years 874 works have been exhibited in the US, Japan, UK, Canada, and Italy and over 600 works have become part of personal collections. Mt. Huangshan (Yellow Mountain) is covered by heavy snow in the winter. 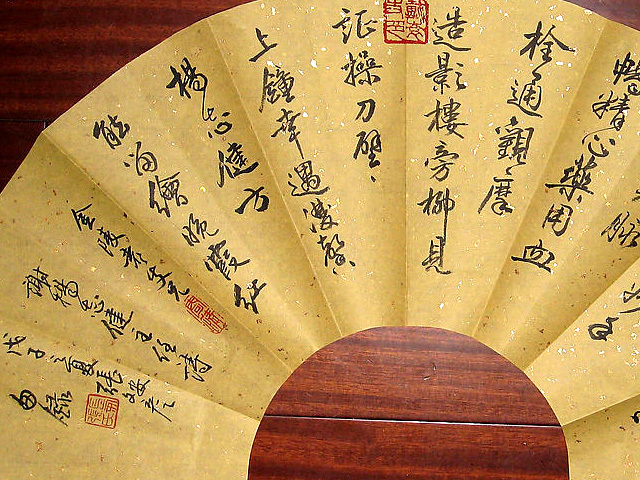 Almost 450 years since the first Rongchang paper fan was made in southern China, it is now a symbol across the world of the mysteries of the East. Hundreds of years ago the fans were already being exported to India and Burma. At first, only the nobility could afford to buy the elegantly made fans. The past several decades have witnessed rapid innovation utilizing different materials to make the fans and the original few styles have now expanded into 345 different types of fans, available and affordable to everyone. 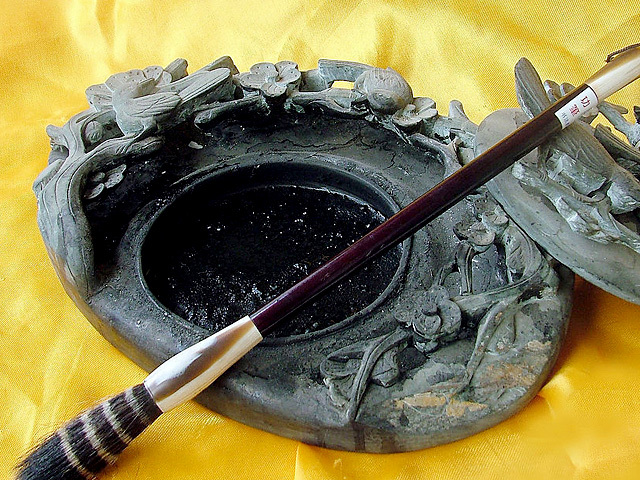 For travelers fascinated by Chinese calligraphy, a Three Gorges Inkstone makes for an excellent souvenir. Made from special stone excavated on the Libi Gorge section of Jialing River, these finely-shaped inkstones are delicately engraved with beautiful patterns. Inkstones are akin to empty ink jars, and were once used to mix ink. The flat part of the stone was covered with a thin layer of water, and an ink stick was ground down upon the stone to mix the two. Jiefangbei (the people's liberation monument) business district is the center of the city and Chongqing's commercial heart. Clusters of shopping malls and exclusive shops line the roadsides. Bookstores, cinemas, bars, and hotels are quite easy to find. 300 meters (1000 feet) from this location, is the city's largest snack street, where tourists can enjoy local specialty snacks, purchase souvenirs and sightsee. This is the largest shopping street in Western China. 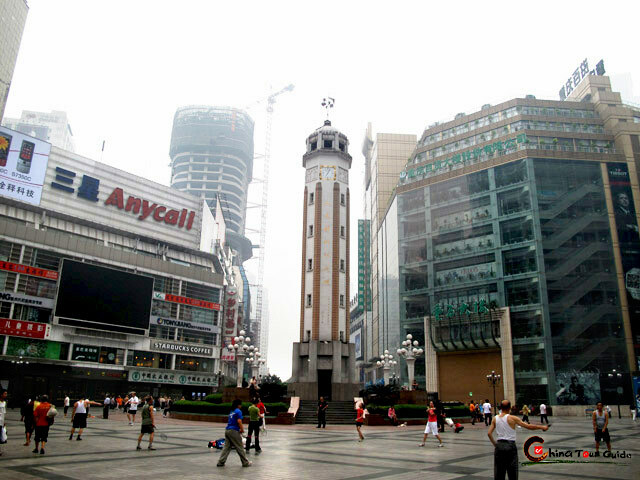 Of the city's ten biggest retailers, five of them are located at Jiefangbei. Chongqing Department Store, New Century Department Store, Friendship Shopping Center, New Oriental Women Plaza and the Heping Pharmacy head office make it a breeze to find what you're looking for. Whatever you're in search of, you should be able to find it at the Chaotianmen Market, the biggest market in Chongqing. Literally "the Gate to Heaven," Chaotianmen is truly a bargain-hunter's paradise, with stall upon stall of clothing, shoes, accessories, candles, toys, teapots, and Christmas decorations. You'll find it on East Jiefang Road' and be prepared to practice your bargaining skills. The first price given is generally significantly more than the seller expects to get.